يوفر فندق Mantra One Sandy Bay Road Apartments ظروف إقامة راقية وهو خيار رائج للسياح ولرجال الأعمال أيضاً. يقع في منطقة ثقافة, سياحة, مطاعم من هوبارت. يسهل الوصول إلى هذا الفندق ذو 4 نجوم من المطار، فهو يبعد عنه مسافة 20. Km فقط. بالنسبة لمن يريد الخروج، هذه بعض المعالم السياحية المتوفرة للزوار رويال تينس كورت, St Helen’s Private Hospital, ‪St Joseph's Catholic Church‬. يقدم Mantra One Sandy Bay Road Apartments خدمات لا غبار عليها وكل أشكال اللياقة وحسن الضيافة اللازمة لإسعاد ضيوفه. يمكن للنزلاء الاستمتاع بالميزات التالية: خدمة التنظيف يوميًا, تسجيل وصول/تسجيل خروج خاص, مكتب الاستقبال على مدار الساعة, مرافق مخصصة لذوي الاحتياجات الخاصة, تسجيل وصول/خروج سريع أثناء إقامتهم في هذا المكان الرائع. بالإضافة لهذا,تتضمن كل غرف الضيوف مجموعة واسعة من وسائل الراحة . بعض الغرف توفر حتى حمام إضافي, مرحاض إضافي, منقي الهواء, غرف لغير المدخنين, مكيف هواء لإرضاء أكثر الضيوف تطلباً. كما أن مجموعة الخدمات الواسعة الموجودة في الفندق لضمان راحتك تترك لك الكثير من الخيارات لقضاء وقتك أثناء فترة إقامتك. 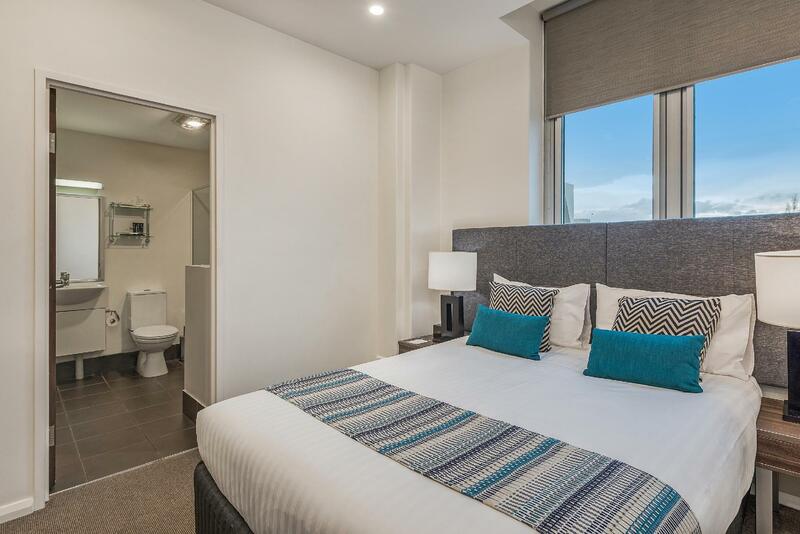 استمتع بخدمات لا يعلى عليها وعنوان ذو اعتبار في Mantra One Sandy Bay Road Apartments . يُرجى العلم بأن جميع الأماكن المخصصة لانتظار السيارات تخضع للتوافر والتأكيد من قِبَل العقار بسبب محدودية الأماكن. لذلك، يتعين على النزلاء التسجيل للحصول على أماكن لانتظار سياراتهم قبل الوصول. يُرجى الملاحظة أنه لا يتم تنظيف شقق العقار أسبوعيًا. في حالة إقامة النزلاء لمدة 7 ليالٍ أو أكثر، ستستمر وحدتك في الحصول على خدمة نصف إقامة مجانية. للإقامات القصيرة التي لا تحظى بخدمة، يسعد العقار تقديم خدمة التنظيف في اليوم الذي تريده أثناء إقامتك مقابل رسوم إضافية. يوفر العقار باص صغير للنقل لقاء أجر إضافي. يرجى الإتصال بالعقار للمزيد من التفاصيل. We were very satisfied with the size of the room and the complete facilities at Mantra Hotel, not only we can use the washing machine and microwave, there is also a stereo to listen to. The room is very spacious and clean, in a strategic location too. This accomodation suited us because we booked a one bedroom apartment and we were based here for 3 nights. It's location is excellent. Just a short 5 minute walk to the Saturday Salamanca Markets and Battery Point and Hobart Harbour. Great Restaurants all within walking distance. Frankly speaking, everything was above average except: inappropriate to ask customer credit card information thru the intercom on the doorway. I emailed them what info required prior arrival as I told I would check-in late and was replied credit card info will be needed upon arrival. If no reception service out of 9-5, customer info should be obtained thru email prior check-in instead of a loud speaker (doorway intercom). Privacy & security sense remain in question. neither YHA or average hotels will do this way. Pros- location and decent sized rooms for a quick stay. Cons- cleaniness of the kitchen utensils weren’t the greatest kind of turned off from using the kitchen, didn’t get any room service to refresh the towels or beds. Besides all of that it was good for its location for what we came for. The apartment was cosy and had everything we needed. It was located near all the eatries n wharf. Places of interests were within 10 to 30 mintues (driving). We will definitely stay here again. Easy access to center of Hobart, good parking facilities. Confortable Roomy suite! Would stay again. 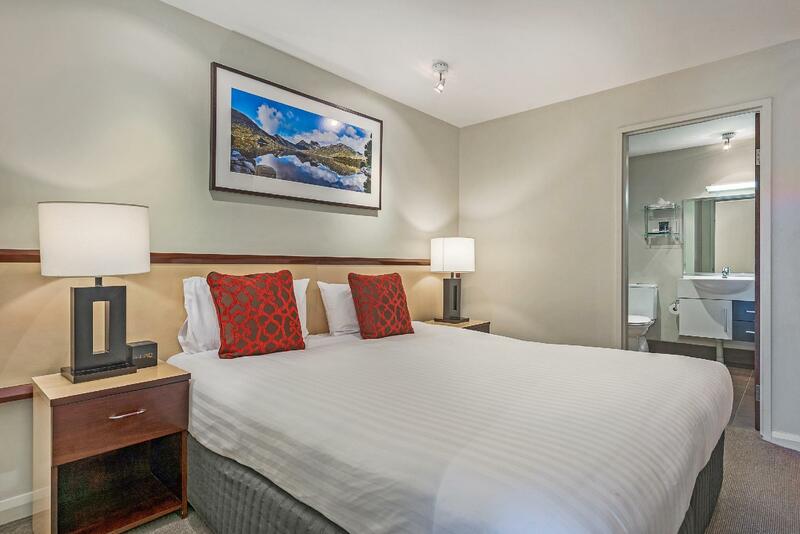 Dear Mark, Thank-you for your review, Pleased to read you enjoyed all aspects of your stay and would stay again when next travelling to Hobart! We cant wait to welcome you back again in the near future. Warm Regards Thomas Luck General Manager. Honestly a bit disappointed. We stay at Mantra hotels quite alot and they are always of a similar standard. Here each apartment is individually owned so the decor is chosen by the owner. Our apartment had an odd feel about it as the furniture was quite eclectic with knick knacks here and there which seemed out of place. Room was right next to the lift which was very noisy as was the area outside the lift which echoed peoples voices as the came and went. Limited parking which meant leaving the car out on the street. The shower was open with only a curtain so the bathroom floor was soaking wet after using the shower. Positives were that it was in a great location and the kitchenette was well equipped. Think we would stay elsewhere if in Hobart again. Arrived 6 pm and the lady on reception was brilliant. The room itself was bigger than my girlfriends house. Everything was clean, tidy and in great condition. having the washing/dryer machine in laundry was a fantastic bonus. Locate at city centre, next to a park and close to everything. Hotel room is big and clean, but no stove, cannot cook. Super big rooms with lots of facilities for a longer stay and close enough to everything. No onsite restaurant or free wifi, but walking distance to lots of great options to eat. Stayed at Mantra again for the 3rd time and enjoyed every moment. The room was very spacious, clean and quiet would highly recommend staying there. 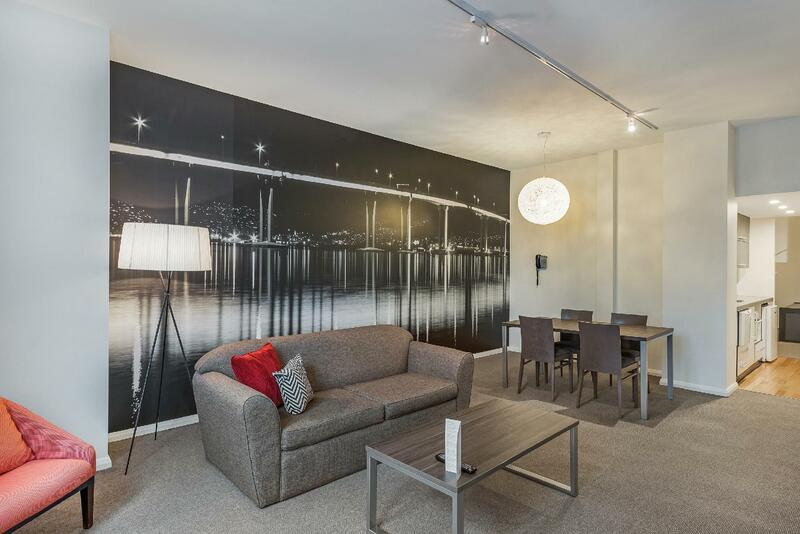 Great location 50m from dalamanca markets, 5 min walk to the Mona ferry wharf and other dining options. 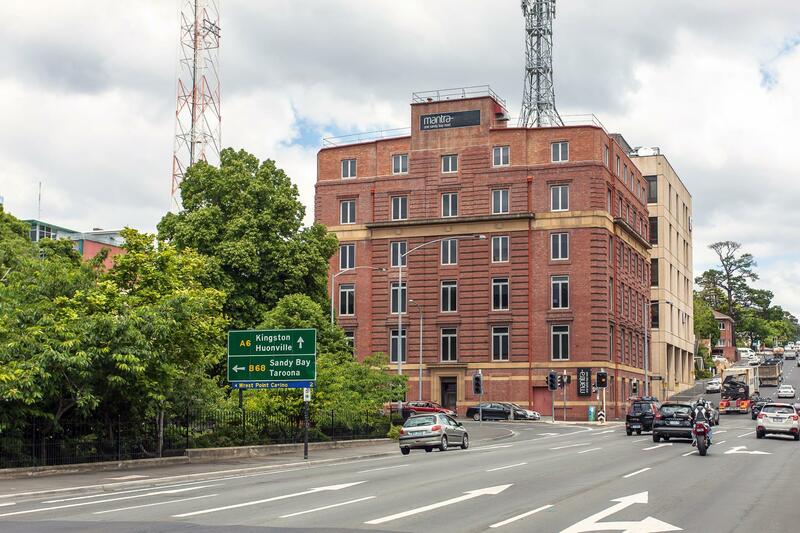 10-15 min walk to the cbd for shopping. Go on the weekend and park for free in the street. Hobart is a stunning historical town and I can’t wait to go back. We stayed at Mantra Sandy Bay Rd and the location is perfect. I’m afraid the hotel location is the best thing about this hotel. We arrived to the hotel at 11am and had no intentions of checking-in. All I really wanted to do was leave my car there as we had a whiskey tour organised for 1pm. I was polity advised that I wasn’t able to check-in and to leave my phone number and they would call me once the room was ready. Wasn’t able to leave my car there. We strolled back into the hotel from our tour at 5.30pm and check-in. The same person at reception and was asked if someone called us regarding our room being ready and told her no. She seemed surprised but I felt that she’d dropped the ball on that case. The first thing I do when I walk into my room is sit/lay on the bed. This bed felt like a 1inch camping mattress; was so hard and to make matters worse was a went down right in the middle when this bed was a zipper bed. The zipper was harder than the bed and raised up a little and felt like a piece of wood in the middle. I then went into the bathroom where we had two towels for four nights. I would have at least excepted three towels; and extra towel for my wife when she washed her hair at the lease. Being a ‘serviced apartment’ I thought our room would be checked by housekeeping. No no no. I know it’s just four nights and wasn’t like we had a food fight in the room or something, but maybe having the bins emptied each day or that one extra towel. Even place a coat hanger in the room since we had none. Staff at Mantra Sandy Bay also need a lesson in customer service. It’s like walking around a morgue when staff are present, that goes for all staff members we encountered. As I started my review, I will return to Hobart. I won’t be staying at Mantra Sandy Bay Rd and nor would I recommend it. The apartment was spacious and relatively comfortable. The Kitchen was good, had a modern dishwasher and was clean. The bathroom was okay, nothing special. Had a modern washer/dryer. Shower was good. The Furniture was abit dated; the bed was hard, some of the surfaces were sticky, all the tables had lots of ring marks on them. The building is dated. So dated. The floor were uneven, we couldnt figure out if the toilet wasnt set in correctly or if there was a leak in the roof, the lift looks like its 50 years old. The car park was small and you need to book! To access our lift you had to walk down stairs through the lobby, through the car park then to the lift. It was abit strange. The Location was great, close to Salamanca, close to the water, just far enough outside of the cbd, located on a good road. However there were lots of drunk kids in the park across the road at times being loud, that was our only complaint. Had a great stay. Room was very comfortable with excellent, well thought-of room facilities. 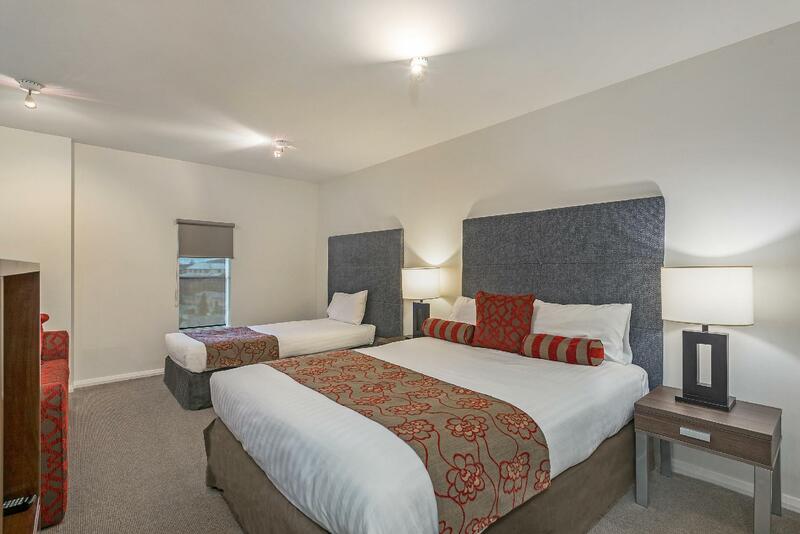 Very convenient location near Salamanca Market, bus stops and car rental outlets. Was a little disappointed to find upon arrival that there would be no housekeeping and complimentary resupply of soaps and detergents during our stay. Apartments did not have free wi-fi, which was also very inconvenient. The bed is HORRIBLE! It's just two king singles zipped together and is the worst sleep! Do Not stay here if you want one queen/king bed if you are a couple, over 5'5" or want to use the cooking facilities within the apartment.